Stay in the romantic Elemental Guest suite! 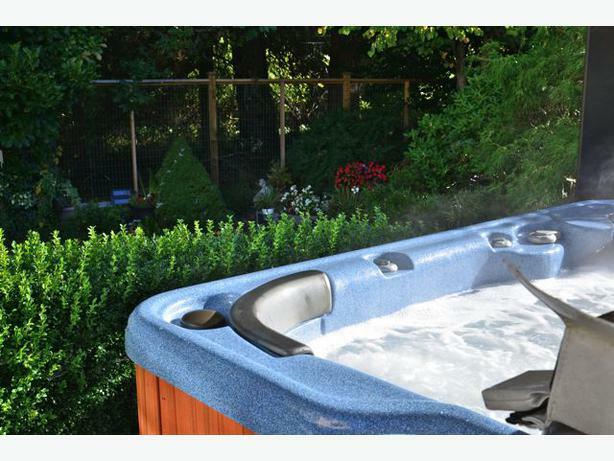 Enter by the side gate, stroll past the lovely east garden with guest HOT TUB - under a gazebo, with it's soft night lighting, take a anytime dip - then on to the upper deck with your own lounging area. 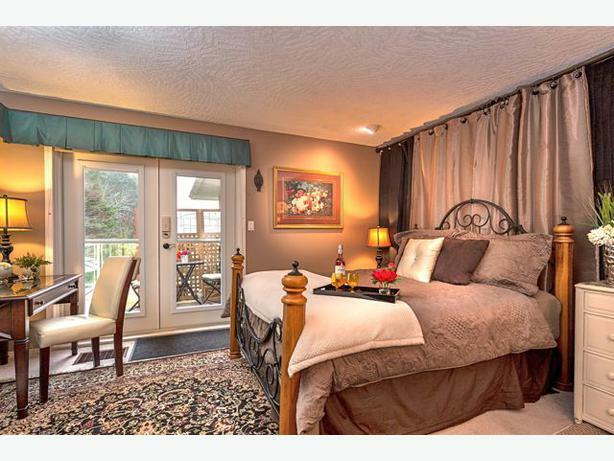 Set-up for two, relax and enjoy forested and garden views, as well as the sound of the nearby creek. Sometimes the deer even peek in! Inside is a romantic four-poster queen bed with plush duvet, a writing desk with rear garden and forest views, and a fireplace. Past the large walk in closet you'll find a spacious skylight-lit five-piece ensuite bathroom - plan for a soak in the soaker tub at the end of your day. Light the candle and relax! 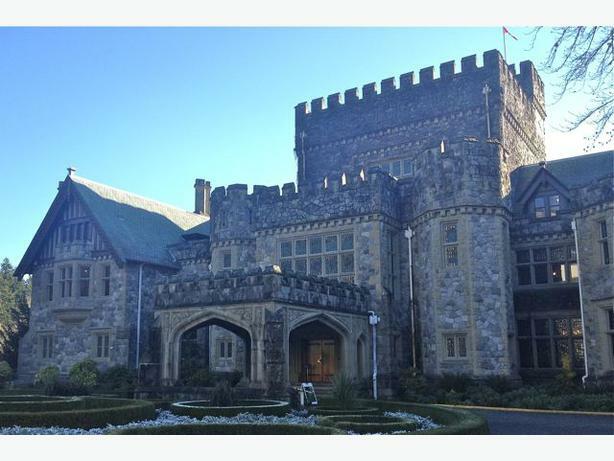 Explore the 565 acres of forest with hiking/walking trails and visit the a local Hatley Castle with themed gardens and even wild peacocks - so bring your camera!) 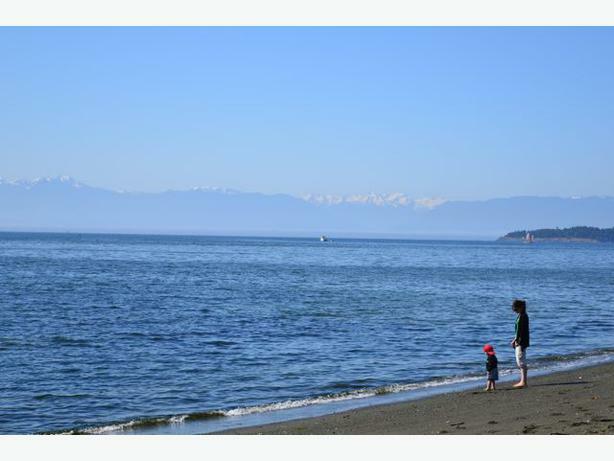 Don't forget to set aside a day to spend at the beach - 2km of sandy rustic shoreline with mountain vistas and downtown Victoria views. Best of all- you can walk to it! Close to you; far from the bustle. Grab the beach towels, cooler and chairs from your guest suite and spend the day. Nature is at your doorstep, yet only 20 minutes by car to downtown Victoria, and only 5 to 10 min from local shopping, restaurants and pubs! 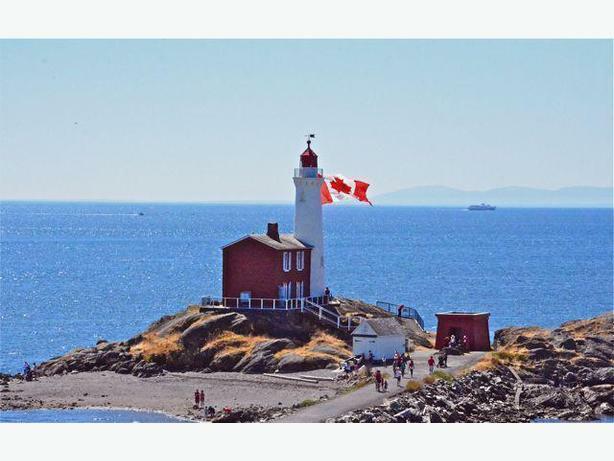 After Esquimalt Lagoon, head over to Fort Rodd Hill and Fisgard Lighthouse - a national historic site with one of the oldest light houses in Canada. 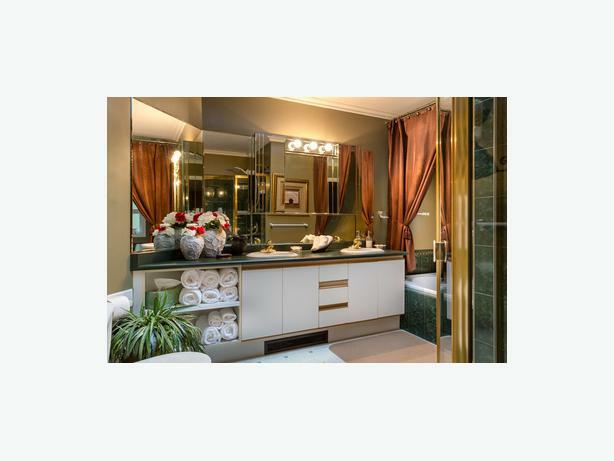 Everything is included for a home away from home feel - from long distance calling to Canada and US; broadband WiFi; even robes to use for the bath - or hot tub! 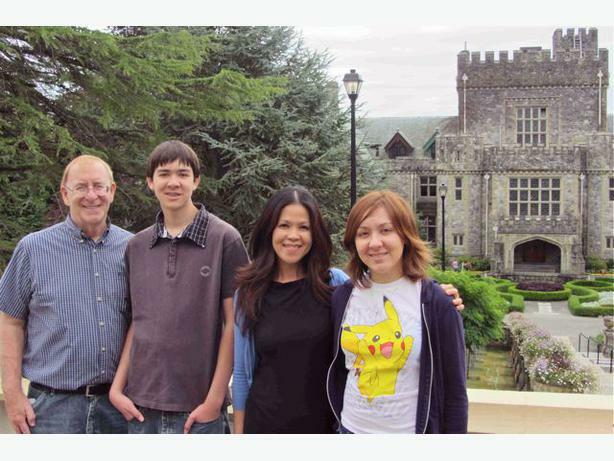 Rates are just $88 CAD/night in Spring and Fall (~ $66 US/night at current exchange rates) and $98 CAD/night for Summer (~ $74 US/night) ... and as low as $78 CAD (~ $59 US) in the winter. You REALLY SAVE with your US dollar right now! All stays require a 2 night min. 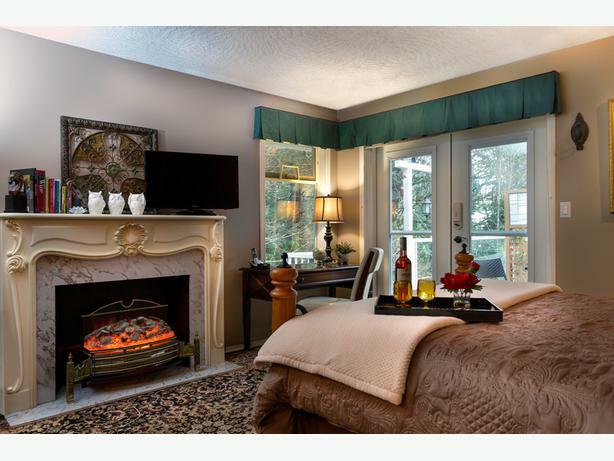 Rates include ***ALL taxes and fees*** for double occupancy.